A look back at one of Houston's most storied public arts pieces. The combination of his choice medium of light and a lifelong fascination with the sky—Turrell has been piloting since he was 16 and his father was an aeronautical engineer—coalesced into Turrell’s iconic installation format: the Skyspace. His website defines them as: “specifically proportioned chamber[s] with an aperture in the ceiling open to the sky.” There are 86 of them currently, from a park in Oslo to a Jerusalem museum to the one at Rice University. 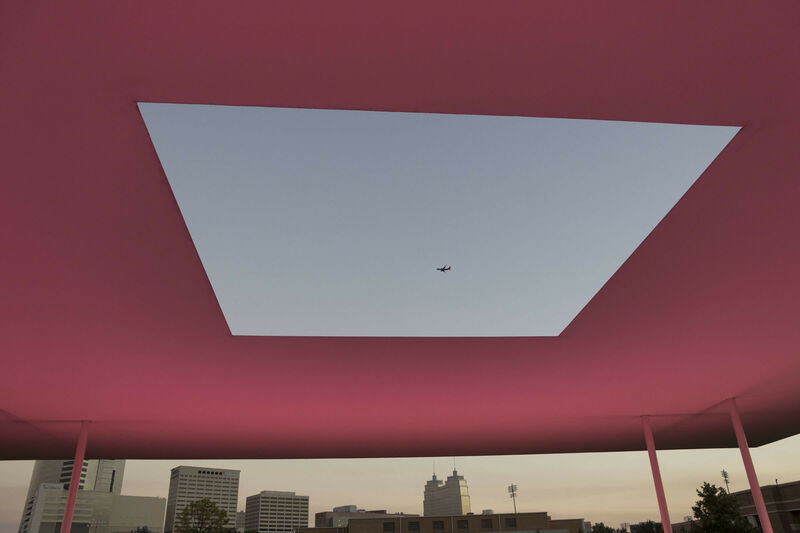 The 72-square foot white roof of Rice’s Skyspace slims down to a quarter of an inch with an almost extraterrestrial aesthetic, common among Turrell’s structures. The interior benches feature pink Texas granite. Its title, “Twilight Epiphany,” comes from the two, 40-minute light sequences, which silently play every day except Tuesdays, at sunrise and sunset (free to the public). The space possesses a meditative atmosphere, especially during the sequences’ morphing colors. In 2008, Suzanne Deal Booth, an art history graduate of the Rice Class of 1977, approached the university with the idea to donate a reported $5 million for this Skyspace. Deal Booth had worked for Turrell while in graduate school in art history and art conservation at NYU. In 1980, she physically helped build his first Skyspace, “Meeting” at P.S.1. 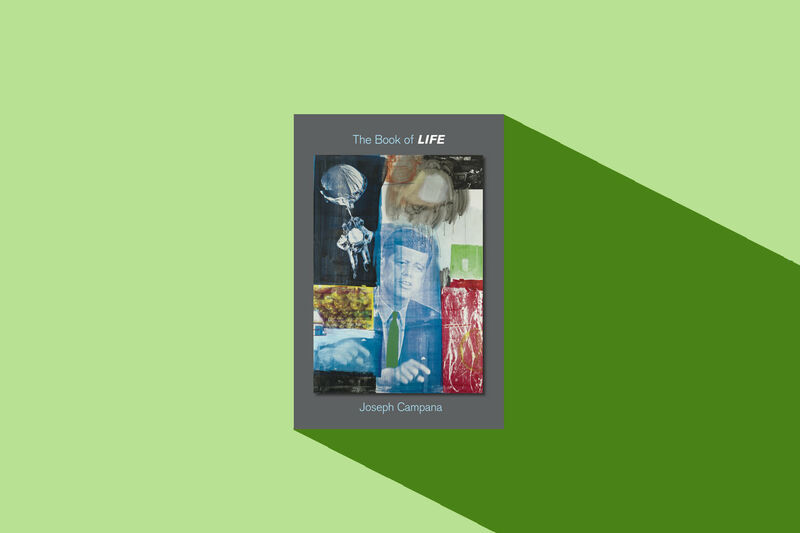 Contemporary Art Center in New York and assisted with his first retrospective at the Whitney Museum. She actually met him through a former colleague of a previous job: working for Dominique de Menil at Rice. The de Menils effectively set up shop at Rice after becoming an arts dynasty in Houston, organizing exhibitions and employing students like Deal Booth. After John de Menil’s death in 1973, Dominique de Menil remained on campus until the new Menil Collection opened in 1987. One exhibit she planned for Rice featured James Turrell, although it remains unrealized. The show, scheduled from December 22, 1979 to March 9, 1980, was titled “Two Spaces” but was actually comprised of three. The two interior spaces were to have featured light-emitting apertures cut into walls, one in a room with a fiberglass ceiling (allowing natural light) and one with the existing corrugated aluminum roof. The third space was dubbed an untitled “sky piece” in the commissioned (but unpublished) catalogue by art historian Melinda Wortz: a temporary 25-foot structure with a 13 square foot opening to the sky and a wood floor. Tungsten lights around the inside of the opening would have intensified the visual contrast between the interior and exterior sources of light. Like Deal Booth’s Skyspace, “in the sky piece at Houston the light of the sky outside is controlled by the light reflected from within,” as Wortz wrote. “The art consists of the interaction between the perceptual biases that we bring with us—what we want to see—and what the artist has selected out for us to see.” If it had opened on schedule it would have been Turrell’s first Skyspace, before the 1980 “Meeting” in New York. “It was a big stretch back then…for art that needed dedicated spaces or whole buildings,” Deal Booth explained recently. Installation art was just gaining prominence in the 1970s and Turrell’s expensive vision exceeded the traditional format of an art object in a room. “She [de Menil] liked his work but couldn’t put her hands around it.” Ultimately, in Deal Booth’s opinion, “if Dominique wanted something to happen, it happened.” Thirty-five years later though, Deal Booth brought a fresh vision of Turrell’s work to Rice, independent of de Menil’s unfinished plans. Deal Booth’s Skyspace is unlike any other, with a vibrant connection with music through the adjacent Shepherd School of Music. The School’s Dean, Robert Yekovich approached Turrell about the idea of acoustically engineering the Skyspace into a musical venue and an electronic music and light composition laboratory. Turrell agreed and integrated a sound system into the design. The artist later released special light sequences for student composers to manipulate to create their own site-specific sound and light pieces. Beyond the music, Deal Booth’s Skyspace has engaged the Houston and international communities, welcoming 100,000 visitors since 2012. Several couples have gotten engaged and married in the space. 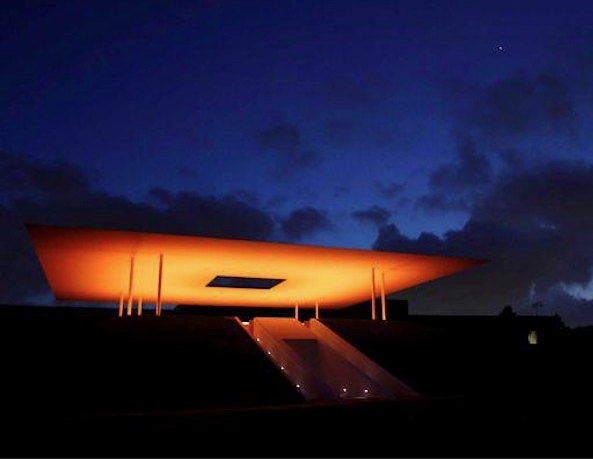 Turrell sends prospective Skyspace developers to visit Rice. According to Emily Stein, the artwork’s first manager, he deems it “one of his most successful pieces” and claims it is to date the “most visited” of the 86. So, even though Rice did not end up with the first of Turrell’s Skyspaces, the campus still hosts a seminal piece of artwork, a place of meditation, and an inspirational musical venue.